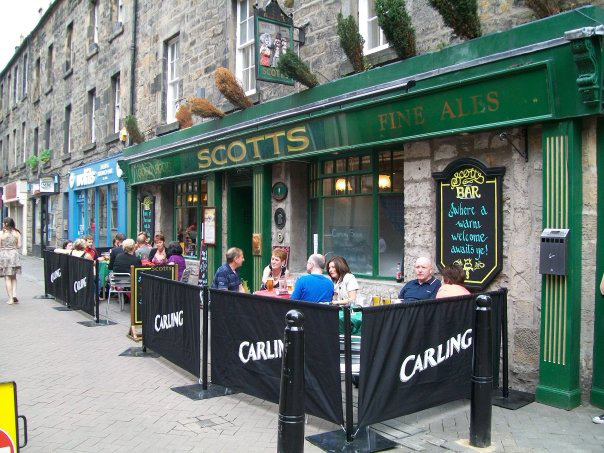 Scott’s Bar is located on Rose Street; Edinburgh’s main pedestrian shopping street and as such, is busy all year. 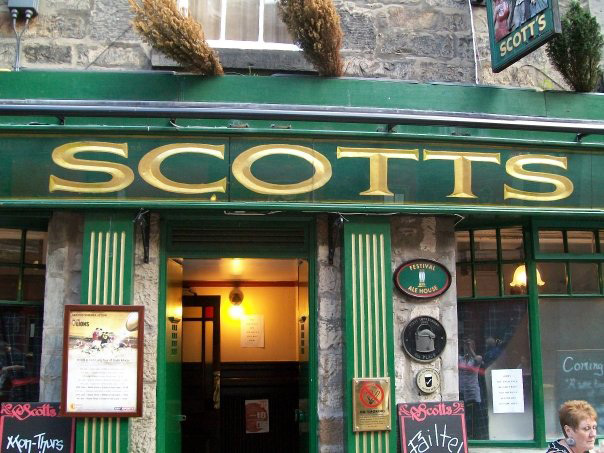 Steeped in local history, Scott’s Bar is Rose Street’s oldest pub. 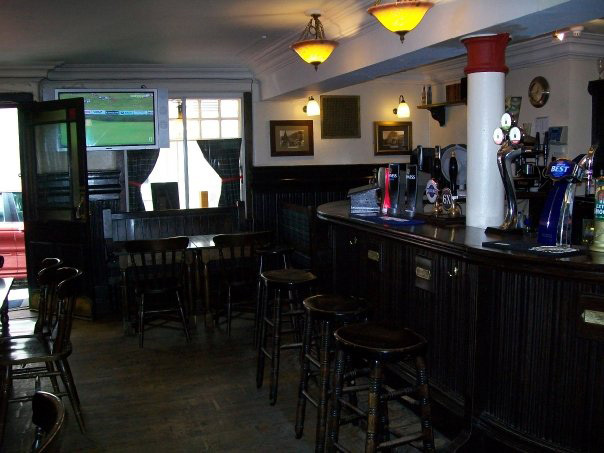 Dating back to 1790 it is viewed by many as an Edinburgh institution. 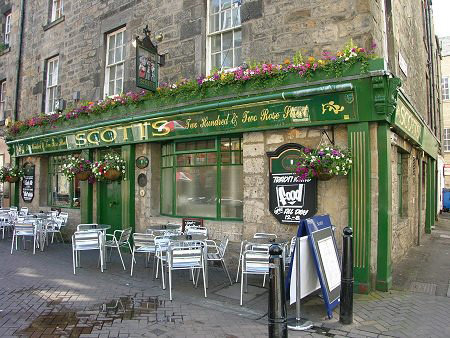 Scott’s of Rose Street is named after a notorious landlady ‘Ma Scott’ who’s fierce reputation lives on to this day, making it extremely popular with tourists looking for an authentic Edinburgh atmosphere. 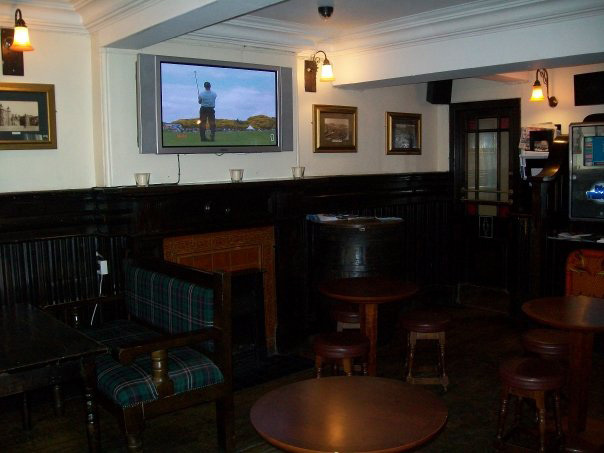 This is added to by the décor and unusual position of the bar. 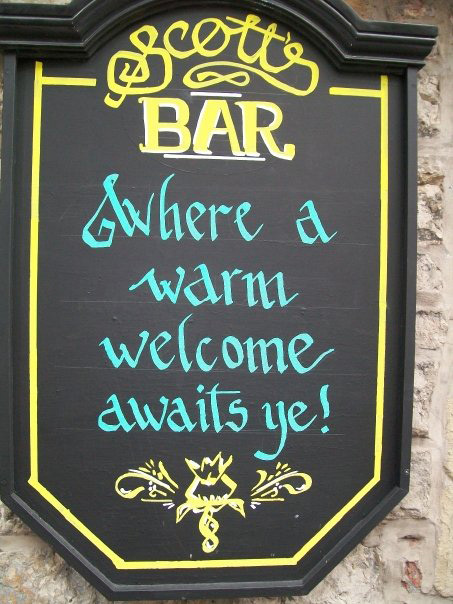 Whisky is very popular here, with the pub stocking a large selection of over 100 malts. Traditional Scottish food is served throughout the day and is popular with tourists, shoppers and local office workers alike; particularly for lunch trade. Sports are shown in the evenings and at weekends when Rose Street becomes one of the top destinations for drinkers and party-goers from all across the UK and further afield.